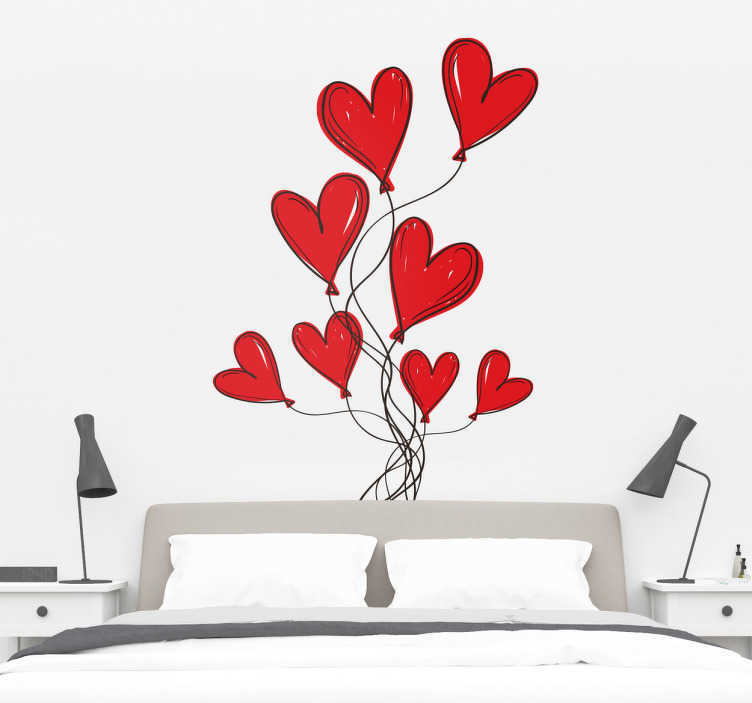 Decorate your room with the love heart balloons sticker. The love hearts decal brings a sweet and cheerful atmosphere to your room. Perfect as a bedroom decal for the headboard of your bed. Have this sticker custom made and choose your own size dimensions to suit your surroundings. What are you waiting for? Buy this decorative bedroom sticker and bring some love into your room. This high quality sticker is applied easily without leaving any bubbles or residues.